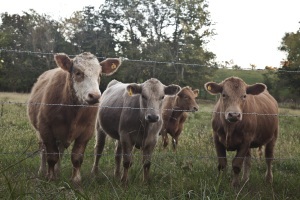 Missouri will not create a one-dollar-per-head state beef checkoff. The Missouri Beef Industry Council proposed the checkoff. Executive Director Mark Russell says he’s disappointed. “One of the good things about it is that voters have been able to voice their opinion. We’re going to continue to work hard for the entire industry to try and help promote beef in the state of Missouri,” said Russell. Russell says three-quarters of the votes were against the checkoff. Rhonda Perry of the Missouri Rural Crisis Center, which opposed the checkoff, says industry leaders have not listened to those she calls independent beef producers. Checkoff revenue would have promoted beef. The vote was open to Missouri cattle producers who registered online or at county FSA offices. Several states are either considering or have established beef checkoffs in addition to the national dollar-per-head checkoff that’s been in existence since the 1980s. Other states have defeated attempts to put a checkoff in place. Tom Steever of Brownfield Ag News contributed to this story.